After a long and successful career in the business world, Yvette realized that her true passion lies in animal services. Yvette trained at the renowned Merryfield School of Pet grooming, located in Fort Lauderdale, Florida, under the supervision and guidance of nationally and internationally acclaimed Certified Master Groomers, competitive groomers and AKC Breeders. 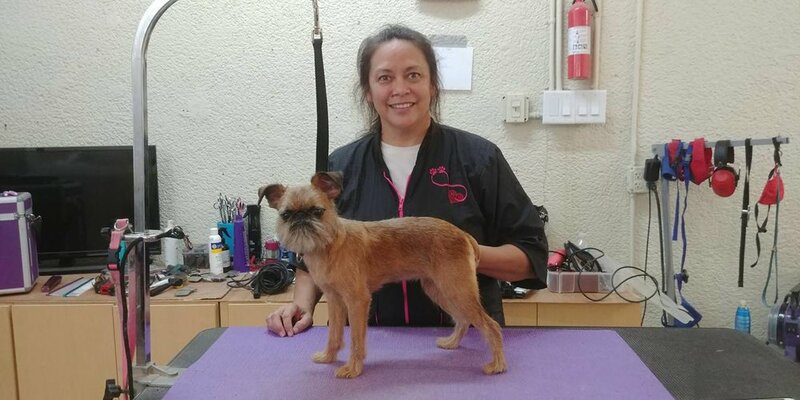 Having mastered pet trims and breed profile trims, Yvette continues to pursue excellence through workshops and grooming expositions, and has begun the rigorous requirements to achieve the designation of Certified Master Groomer herself. Yvette is also trained and current in pet CPR and first-aid. She has also recently completed AKC S.A.F.E. Groomer certification. Yvette joined Sarasota Grooming Company in 2017 as an apprentice groomer and competed her internship at the salon. Under the supervision of Nicole, Yvette has developed into a fabulous groomer and is excited to keep working with your pets as the full time groomer at SGC.